The latest from Cinquecento looks at songs for the Hapsburg Court, including rarely recorded composers like Jean Guyot and Jacobus Vaet. 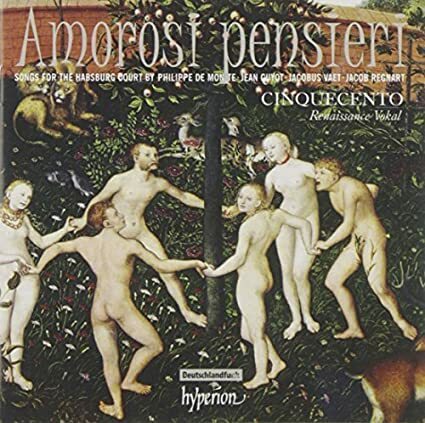 NOTE: All of the music on this program is from the recording Amorosi pensieri featuring the ensemble Cinquecento. It is on the Hyperion label and is CD CDA68053. —Anne Coeurdevey and Philippe Vendrix. Philippe de Monte (1521–1603), Jean Guyot (?1512–1588), Jacobus Vaet (c1529–1567), Jacob Regnart (c1540–1599).